Add a dash of Star Wars to any flat surface with this Star Wars Logo Emblem Accessory featuring the Star Wars logo in silver, topping a 3D injection-molded black backing. Just remove the 3M backing sheet and stick the emblem in a position of pride! 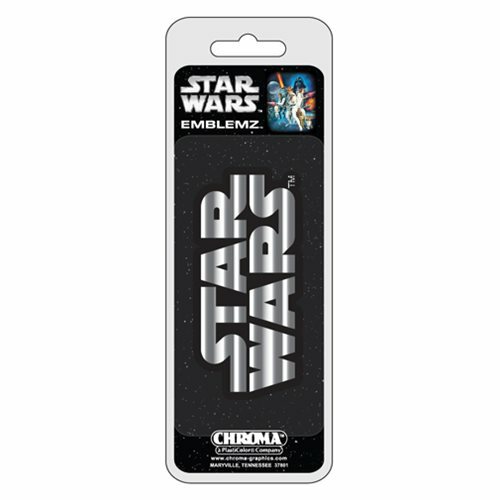 Measuring approximately 3 1/2-inches wide x 1 1/2-inches tall, the Star Wars Logo Emblem Accessory is perfect for your car's bumper.